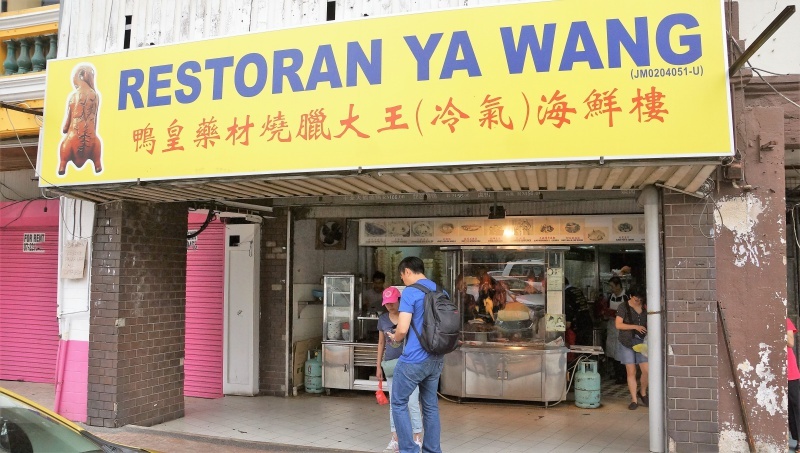 Restoran Ya Wang 鸭王 or the King of Duck is a place frequently patronised by many Singaporeans due to its close proximity to JB City Square. The shop is fully air-conditioned so no worries about the heat and humidity. 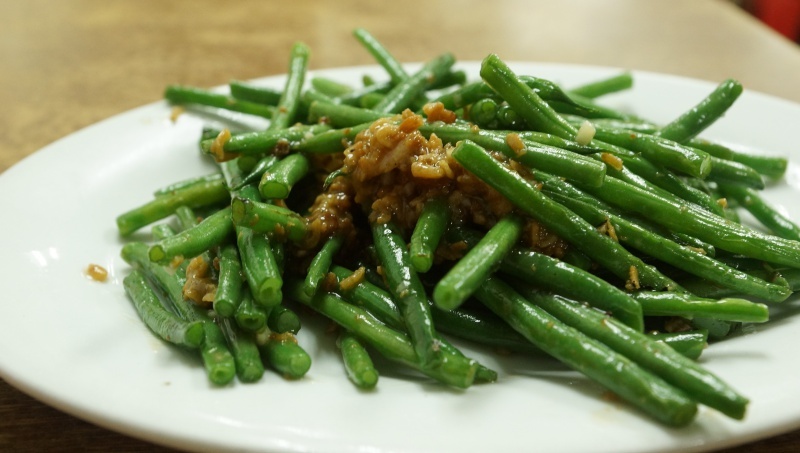 Popular for its herbal duck and roasted meat, Restoran Ya Wang serves up many zichar dishes as well. 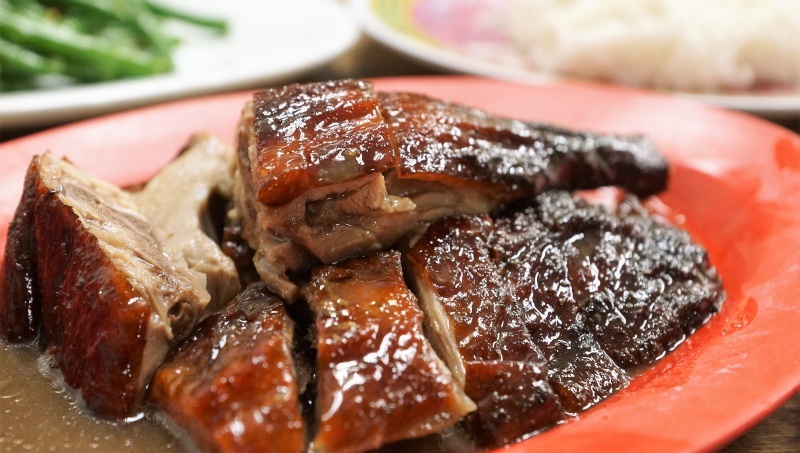 Among the signature dishes, you can’t miss the Ten Wonder Herbs Roast Duck (十全烤鸭), the exact replica can be found in Singapore’s Dian Xiao Er chain of restaurants, which Restoran Ya Wang serves as the consultant to. It shows how significant this dish is in the roast duck community. 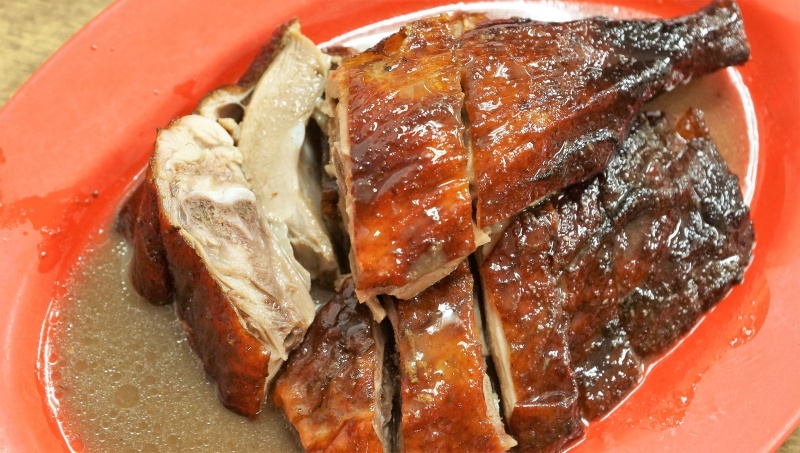 The roasted duck was simmered in herb-infused gravy that allowed the aroma of the herbs to be fully absorbed by the meat. 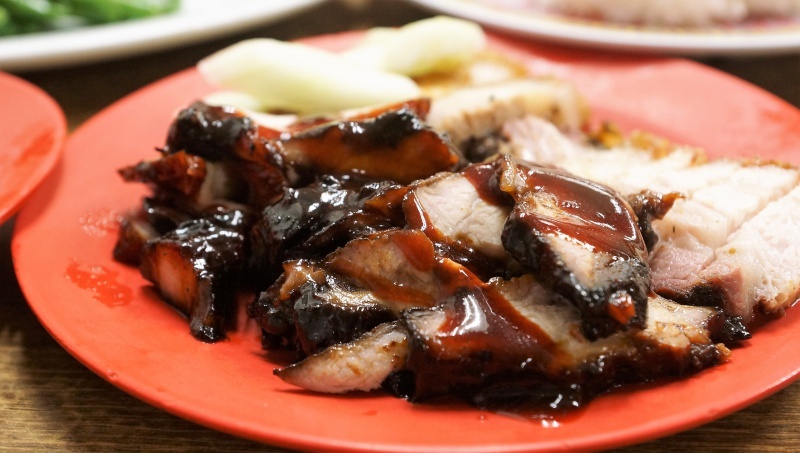 The gravy was succulent in taste but the duck meat was not tender and lacked the elasticity, the few trips to Restoran Ya Wang yielded the same problems. However, the similar roasted duck from Dian Xiao Er in Singapore surprisingly tasted more superior and robust in both the taste and texture. A classic case of a student surpassing his master. 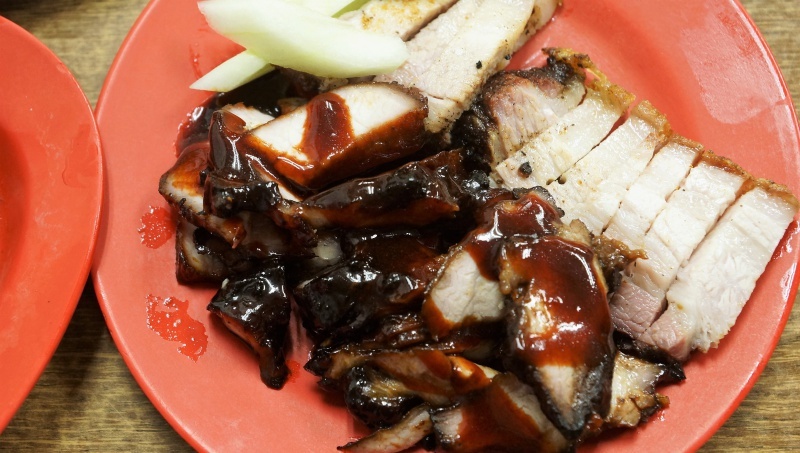 Roasted meats were average; char siew was well-caramelized with the lovely char flavour; roasted meat was fatty; both were decent but no wow effect here. Other zichar dishes we tried were fairly ordinary. Restoran Ya Wang may be the master of the famous Ten Wonder Herbs Roast Duck, but we prefer the rendition cooked by the student back here in Singapore, Of course, the merit of dining in Restoran Ya Wang is the price, which is definitely a lot more affordable than visiting Dian Xiao Er.